Twas at least a month before Christmas… when we put up our tree. 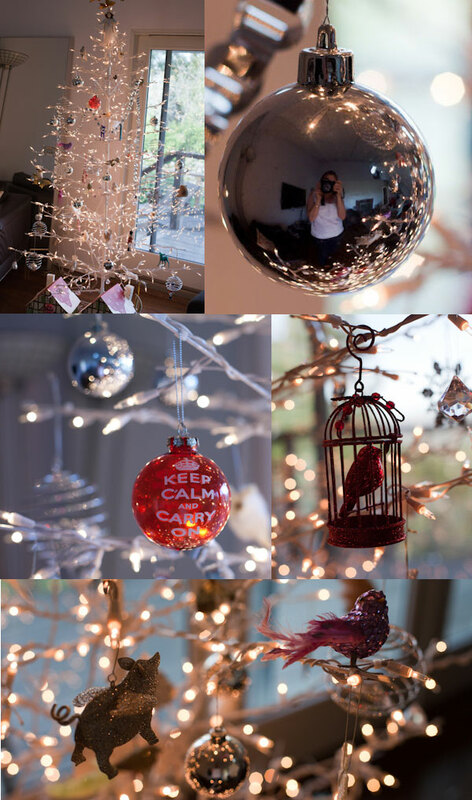 We have several new additions to our tree – a flying glitter pig, a keep calm and carry on glass ball and a red bird in a gilded cage. 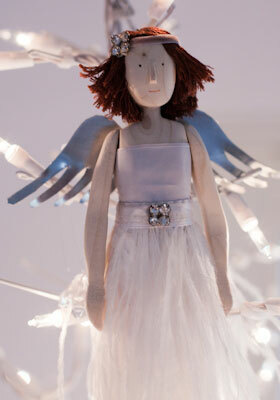 But our most special new friend is a one of a kind angel with a white feather skirt and diamonds – to sit on top. She is made by my aunt Annie Scotland in England and then dressed by my brilliant cousin Eloise Scotland (or as we know and love her, Eli). 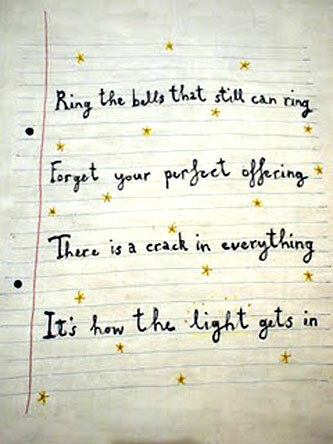 I admire Eli for a lot of things – she’s super smart and best of all she gave up her job as a high flying attorney to make things – and not just any old boring ‘crafty’ thing – gosh I hate the word ‘crafty’ – she makes exquisite works of art. All pieces are handmade by Eli so if you aren’t quick you may not be able to place an order and have it arrive to wrap and put under the tree. Eli says with her current work load on top of being a full-time mum and the need to mail it to America in good time she can probably only take on another 5 commissions – but I would wait well in to the new year for any and all of her creations. These gifts are for the long haul and not just a token present wrapped, unwrapped and then forgotten about. They are family heirlooms to be treasured. A once in a lifetime gift – at first coveted and then, once executed, cherished. And they aren’t just for Christmas either. Know of someone who has just had a baby? Or a wedding present or anniversary gift? 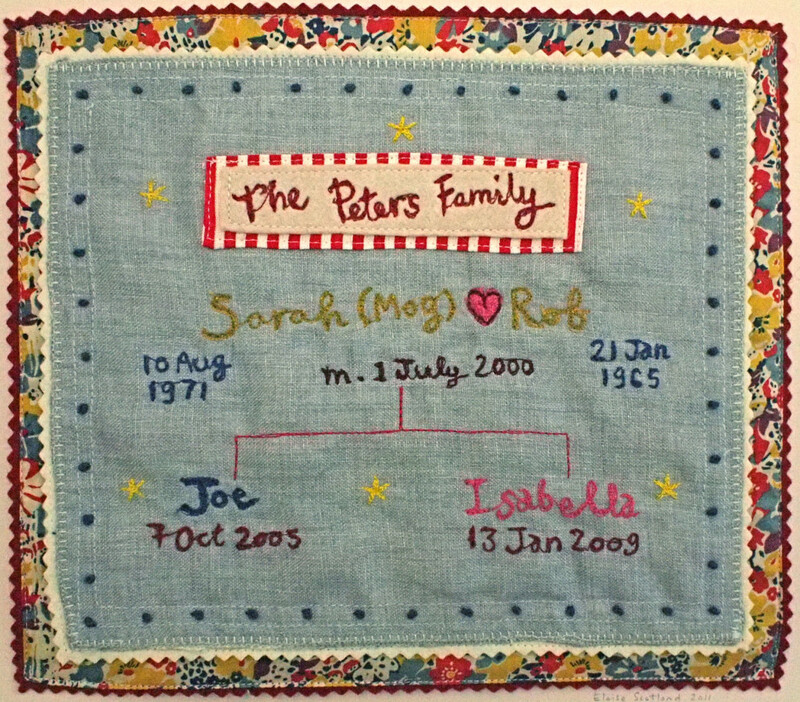 How about a hand stitched family tree to mark the occasion? So far her family trees have mostly been two generations – I’m commissioning her to make me a family tree dating back the early 17oo’s and the first Araminta on my family tree. They say an Englishman’s home is his castle which I presume translates over here – but how about a picture of your house to frame and put on the wall. Such a unique piece – either for Christmas or as a brilliant house warming present. Anyone know who lives at the home above? She’s already done one of my favorite quotes of all time – don’t you love how she’s recreated the lines on the page and that distinct pink margin? 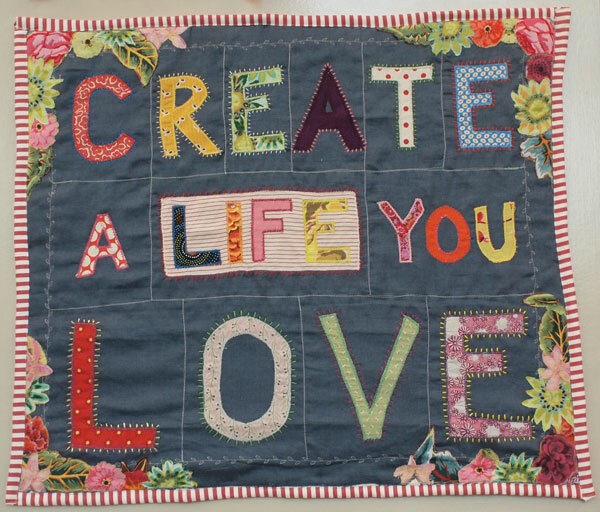 To contact Eloise Scotland and to commission ‘your perfect offering’ go to her website. And whilst we are on the subject of holiday gifts – don’t forget my book MADE IN AMERICA – it makes the perfect present for even the most difficult to please on your holiday list… plus Time Out New York selected it as one of it’s top ten best cookbooks. I will sign any copies and should you live too far away I can always mail you a signed personalized bookplate. Oooo! 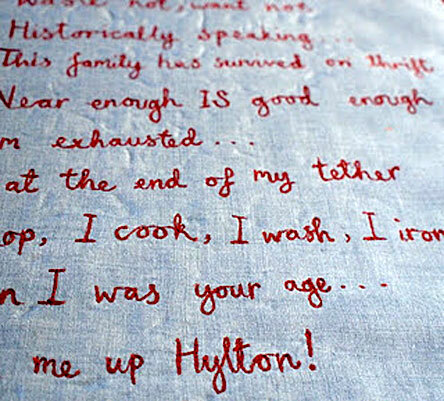 I love the hand stitched family tree. What a lovely and thoughtful gift idea. love everything about this post! thanks for sharing this, I am excited to learn more! What a lovely post, Lucy! Thank you for introducing me to Eliose’s blog and handiwork. They are beautiful! Love that you’re so early with the Christmas tree — in our family we all wait until it’s officially December but I always wished we would put it up earlier. 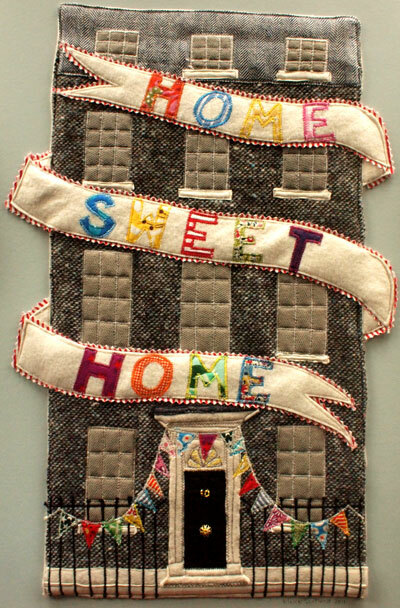 The hand-stiched “home sweet home” piece and the angel are both fantastic. Thanks for sharing, Lucy! Just gorgeous. I love how each ornament tells a story of a year or moment in people’s lives. I love that your children wanted to put up the tree with you… those times are truly special and fleeting and I am so glad that you are embracing them!! 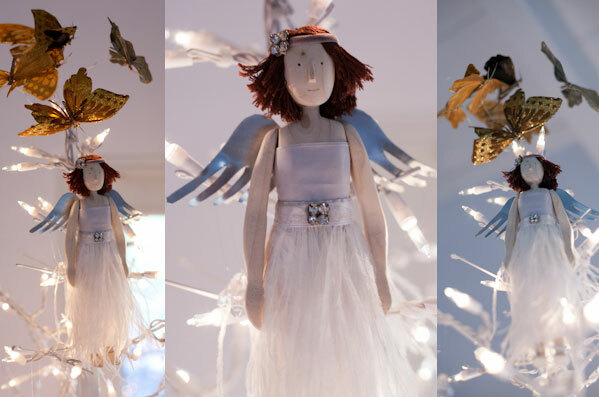 The angel and “quilts” are absolutely gorgeous and would make truly meaningful gifts – which are of course the best kind!